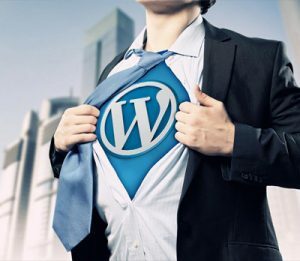 WordPress is a powerful Content Management System (CMS) that started out as a blogging platform but has evolved into a fully customisable CMS powering professional business websites. It’s easy to use and flexible enough for just about any project. It doesn’t require any specialist technical ‘know how’, just point, click, type and publish, just as you would in any word-processing application. Themes govern the overall design of your site and there are many 000’s of differing themes to choose from. There are themes available for every kind of website, from photography, music, magazine, portfolio or e-commerce. Customisable, WordPress themes are easy to customise because most have their own options panel allowing you to change colours, upload logo, change background, create beautiful sliders, and more without having to write any code. The look and feel of your site can be completely changed to suit your brand or image. WordPress already comes with lot’s of built in features but you can extend this even further by using ‘plugins’, add a photo gallery, video, music, social media, shopping cart, forms ,maps etc. It’s inexpensive to host, run and maintain, you own your website and it’s data and it can be moved wherever you want when ever you want. WordPress was developed with security in mind, so it is considered quite safe and secure to run any website, however as it has become more and more popular but just like the real world, the internet can be an uncertain place and there are some unscrupulous people out there. Get Your Free WordPress Security Check Today.